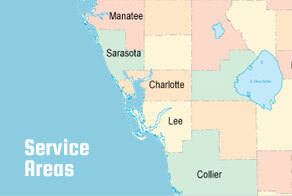 ABC Fire Equipment services the Lehigh Acres area with experienced fire safety equipment and service. Our staff can provide timely quotes to you and your business based in Lehigh Acres, Florida, and provide dedicated service that you can rely on. If you are in need of fire safety service or fire safety equipment, like fire extinguisher service, please contact us today. Please contact us to get more information about what ABC Fire Equipment can do to meet your fire system needs.